Buy Sunny Mood By Irwin Naturals On Sale For the Best price! Mood swing can happen to anyone. Sunny Mood Pills from Irwin Naturals is a mood enhancement dietary supplement and helps improve the emotional health. It can successfully promote a positive state of thought and feelings. It is prepared completely with herbal combinations and phytonutrients. No chemicals of any kind are added in the preparation. All the ingredients used are from the botanicals. With regular usage, a person who has had emotional breakdowns can achieve an emotional stability and calmness. Uplfit your spirits with Irwin Naturals Sunny Mood softgels that contains phytonutrients and minerals to promote excellent emotional health. Sunny mood pills are a powerful blend of phytonutrients & essential minerals. It supports the mental status of a person and promotes feelings of happiness and well-being. It uses formula with ingredients that have been used traditionally for decades. Sunny mood aids one to improve overall mental health and it is best for depressed and mentally ill people and for occasional anxiety and mental fatigue. This product provides a balance of the mind and emotions. Irwin naturals provide you with high-quality products with purity and potency. It uses traditionally accepted ingredients. Vitamin D3 (Cholecalciferol) is usually considered as a bone vitamin but there are cases where this has shown its ability in regulating the hormones and balancing the mood swings especially in menopausal cases. Magnesium: Magnesium deficiency may cause mood swings and adding magnesium in the Sunny Mood is an advantage for those who have low magnesium content in their body. Chromium picolinate is usually used for weight loss but has the ability to increase the energy and improve the mood. L-Theanine is helpful in getting good sleep which is an important factor for those who suffer insomnia and related mood swings. Fish oil contains omega-3 fatty acids. These fatty acids can help with mood swings of bipolar disorder. Rhodiola rosea regulates the cortisol hormone that elevates the brain chemicals, thus enhancing the mood. This has been used for anxiety treatment and panic attacks. Lemon Balm extract is known for its effects on the nerves and effectively controls restlessness and irritability. Passionflower extract can control the mood swings. Tea made of passion flower can enhance the mood and promote a positive well-being. Damiana (Turnea diffusa) extract contains mild central nervous system stimulant. The effect of this is not profound but with passion flower and lemon balm extracts it can perform better to regulate the mood swings. Saffron extract has the same effects as Damiana, lemon balm and passion flower extracts. Bioperine complex of bioperine black pepper extract and ginger extract enhances the absorption of the nutrients and minerals in the preparation into the body for faster action. Gelatin, purified water, glycerin, soy lecithin, bee wax, silicon dioxide, riboflavin and titanium dioxide. BIOPERINE is registered trademark of Sabina Corporation. SAFFR ACTIVE is a registered trademark of nutraceuticals international group. Irwin Naturals Sunny Mood pills are not recommended for pregnant and nursing women. Do not use if the bottle is open before first use. Irwin sunny mood pills are not intended as a substitute to the medicine that is prescribed by your physician. Do not share your medications with others. It may not prove good for them as it did for you. The product is not intended to be used by persons below 18 years. Not recommended for pure vegetarians as it contains fish. Do not consume if you have not seen the ingredients of the Irwin sunny mood pills. If you have any difficulty or show any form of allergic reactions like swelling of tongue, throat or lips, itching, irritation, redness, seek a medical emergency as soon as possible. Check with your doctor if it is safe for you and your health status. If you are a systemically ill person or is already under medication for depression, anxiety, fear or other related psychological problems kindly get a consent from your physician as it may create adverse reactions and cause side effects that can be fatal in nature. Are you feeling down with depression, anxiety, and fear and feeling jealous of those who enjoy life to the maximum with maximum energy and fun. Consume Irwin sunny mood pills and boost your spirit to the maximum. Your order will include a bottle of 75 liquid soft gels which are easy to consume orally. Other supplements might contain binders and fillers that may stick to the stomach and cause digestive problems and illness. DIRECTIONS FOR USE OF SUNNY MOOD PILLS: For adults take three liquid soft gels after meals with a glass full of water. STORAGE OF IRWIN SUNNY MOOD PILLS: It can be stored in a cool, dry place. Do not refrigerate or heat it. Kindly keep it out of reach of children. Do not store it in bathroom or toilet or store room of your house. Care should be taken not to come in contact with metals, electricity, chemicals, pesticides or insecticides. It is available in many online and retail shops. It can be directly accessed from the manufacturer’s official website. The watery gel capsules are taken 3 in number in the morning with enough water. It is safe to use on regular basis within recommended dosage. B it is not advisable for pregnant women and nursing mothers. It is not meant for persons under the age of 18. What are the benefits I can expect to get from Sunny Mood pills? Sunny Mood pills help to support a positive mental state. It improves the feelings of happiness and well-being. For those who are emotionally weak, Sunny mood pills by Irwin Naturals helpt to support the emotional stability and calmness. Can I use Sunny Mood pills on a regular basis? Sunny Mood can be used daily for health maintenance or as needed to balance the mind and emotions. Does the company offer international shipping for Sunny Mood Irwin Naturals? No, Sunny Mood Irwin naturals is available only for domestic shipping. The item is not eligible for international shipping. From where to buy Irwin Sunny Mood pills? Irwin Sunny mood pills can be purchased from their official website as well as from Amazon. Is it safe to use Sunny Mood pills by Irwin Naturals? 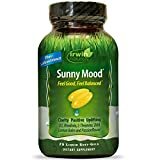 Yes, Sunny mood pills from Irwin Naturals is a safe natural remedy for a balanced mood.The natural ingredients of Sunny mood supplement are known for supporting the mental status of a person and promoting the feeling of happiness and well-being. Are there any Sunny Mood supplement reviews available? Yes, there are many customer reviews available which give a clear picture of how the product actually works. Are there any positive reviews on Sunny Mood vitamins? The Sunny mood vitamins come with all natural vitamins and compounds that promote a positive mood. Many customers have reported that Sunny Mood pills have decreased the mental confusion in Alzheimer patients. Are there any negative Irwin Sunny Mood reviews? When it comes to Sunny mood pill reviews, 40 out of 41 people found Sunny Mood pills from Irwin very helpful for relief from stress and balancing the mood levels. For some people, they experienced allergic reactions like dizziness and nausea. Are the sunny mood supplement ingredients natural? Yes, Irwin Naturals uses natural ingredients in the formulation of Sunny Mood pills. each of these ingredients ( blend of vitamins, minerals, and natural herbs) are known to balance your mood levels and emotions. 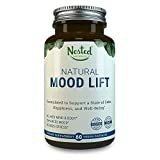 Are sunny mood pills and supplements available on Amazon? Yes, Sunny mood supplements are listed on Amazon. If I buy sunny mood pills, what are the benefits I can expect to get? Sunny mood benefits include supporting mental status of a person, promoting a feeling of happiness and well-being, helps to get relief from depression and is also very effective for mentally ill people. What is the recommended dosage for sunny mood pills? For adults take three liquid soft gels after meals with a glass full of water. Sunny mood is an effective natural remedy from Irwin Naturals that come with a blend of natural herbs, essential vitamins, and minerals to help to stabilize your mood levels. Does sunny mood supplement cause any side effects? Sunny Mood supplements contain a chemical known to the state of California that can cause birth defects or other reproductive harm.